I started this post when I was fast approaching a milestone of 1,000 Followers and have been thinking generally about the topic of “tribe”, followers and following. I feel deprived of time to explore my thoughts of this year on Steemit, I don’t make any quiet time to reflect, but yet I have just the same minutes and hours as everyone else. I must find time. 45 days later, I can tell you, I did find some time to reflect. Including this moment, now on this train journey when I’m putting “pen to paper” to finish this post. I’m so grateful for the people following me, and I hope that they find that I add value through my posts. Ninety percent of my posts are project related including posts about promoting the Steem Blockchain and humanitarian projects, encompassing the communities of #promo-steem, Oracle-d, Fundition and A$AD, to name but a few. This post is about me belatedly celebrating hitting a milestone of 1000 followers and wanting to reward my followers with some signposts to friends I have met along the way. @anarcotech – the Blockchain Philosopher and Tech Anarchist: he is a local lad to me residing just over the hill; really nice guy who is multi-talented with music, tech and the human psyche. You may find a quiet blog currently but you will find his activity is showcased through @oracle-d and @steem-ambassador. Working with Matt @starkerz they have built two very interesting community projects over this last year, both of which add value to the Steem Blockchain. 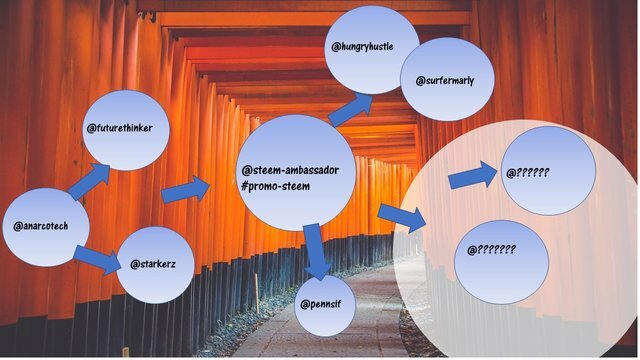 @Steem-Ambassador is a 45,000+ SP account which rewards quality posts of Steemians who report their Steem Blockchain promotional activities on the promo-steem tag. Intergal to the project Dylan has built CAMPUS a Computer Automated Multi Proof of Brain Upvoting System which triggers a reward from @Steem-Ambassador only if a certain post has achieved a pre-requisite 3 upvotes from community approved Steem-Ambassadors dotted around the world. Matt @starkerz has left breadcrumbs all over the Steem Blockchain, he is generating ideas in conversations all over the place. Matt was at SF2 and spoke about the promo-steem campaign to reward promoters of the platform and continues to be heavily involved in the administration of the community approved @Steem-Ambassador program. The latest venture from Starkerz & Anarcotech is @oracle-d which is a purpose built vehicle to bring big investors into the platform. The duo have an international tour of Blockchain conferences planned for the autumn which based upon a proven track record will result in hundred of thousands of dollars of new money coming into the Steem Blockchain. This duo are value creators watch their movements by following their personal accounts and @oracle-d.
Next stop for these two is Indonesia, Krakov and Athens promoting the Steem technology – you can see more about their project here on their @fundition campaign. I recommend you follow @oracle-d – this is THE project which will bring in outside investment and might start to movement the dial on this currency towards the Northerly direction. ”The idea is to make a website where people can share their expertise. Many people have great skills that they can share through tutorials, but most importantly can teach through personal guidance. On the website people will be able to filter on questions and subject. ……... If the learner wishes to be in direct contact with the tutorial maker they will be able to join online workshops by the tutorial maker……………..Not only will the learner be able to ask questions directly, but they will also be in contact with other learners, which I think is a much more of a pleasant learning experience than learning on your own. @futurethinker has been a Curie curator, is an expert discord moderator in various channels including promo-steem, promo-mentors, steempress and he’s built a community in promo-mentors over the course of 2018. It might be a little long in the tooth now – but you can always learn a little bit more on this anonymous Steemian on this blog by me here – for what it is worth - this is now my third guess – I’m guessing his name is Geoffrey Winters, and that he is from North Carolina. Also through the #promo-steem community I met @pennsif who at the time was documenting all the businesses accepting Steem currency as part of a business or commerce, and he was also promoting Steemit in Wales. @pennsif is the much loved MSP Waves Radio Show Host who has interviewed over 300 Steemians this year in bringing news and entertainment to the listeners. @pennsif is like water – he is going with the flow – the show he runs on Thursday nights is moving with the times evolving and staying fresh by listening to the community and keeping it current. Delegate to @adollaraday – which supports A$AD projects with post upvotes. Delegators receive auto-upvotes from @adollaraday as an appreciation. One of the projects supported by @adollaraday is @dreamsoftheocean a project run by next Steemian who has ignited my path @surfermarly. You have to love Marly’s lust for life – I find her a really positive influence on here. Marly posts nearly daily with some form of inspirational quote or motivational blog and has been at the beating heart of the community for over two years. There is good reason she has over 10,000 followers. You will find Marly is very engaged with her following and commentators, and will find posts connected with: promoting Steem, ideas for blockchain or community improvements, surf videos and also the humanitarian project of @dreamsoftheocean which has brought swimming or surfing lessons for free to children on the island of Lanzarote – all funded from Steem. You will not be short of fun on your feed if you follow Marly. And finally here I am curating, here, the undervalued account of @hungryhustle – this passionate Steemian has just clocked over 1,000 followers too and is one to watch for the future. Every post that comes out on Prashant’s blog is primped to perfection. Well presented posts of the highest calibre on a variety of subjects including: new cutting edge blockchain technology. A graphic designer with some serious skills – you will not be short of inspiration. You will also find some quality resteems which he passes on from being neatly embedded in back office content creation work with @promo-mentors, @oracle-d and @steem-ambassador. A real team player and a pleasure to chat to on discord. 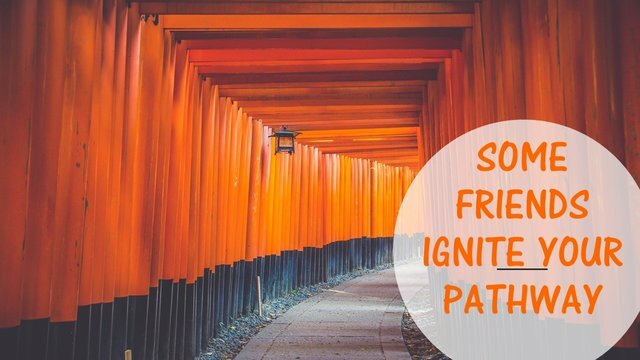 Dear, Dylan, Matt, “Geoffrey”, Chris, Marly, Prashant, thanks guys for igniting my path – you have provided me with inspiration in various guises; whether it be a simple daily motivational post, an intellectual "Firestarter" that burns in my subconscious for days or a door-opening idea which helps me walk this path. Follow these guys you won’t regret it! Congratulations @cryptocurator on reaching this milestone. And I am overwhelmed by the words you have written about me. You are undoubtedly one of my favorite STEEMIANS and I am really glad we found each other. You always come up with unique ideas and spark lengthy conversations which is why I am looking forward to many more years of STEEMing with you. Hope to see you soon. Cheeers! Thanks Prashant - it is going to be a really fun and slightly very addictive journey over however many years we do this for. I will take a lot of heart and enjoyment from seeing your account and reputation grow and for your activity to bring you some abundance and joy. Steemon! Many thanks for the mention Chris, and many many thanks for your ongoing support for A Dollar A Day. I'm so sorry to hear about the flood Chris...… I'm hoping you don't have any further problems when you power back up the appliances. It was nice to "meet" you on @pennsif's MSP Waves Radio show yesterday. I couldn't agree with you more about what great Steemit community members both @surfermarly and @pennsif are, already knowing both of them, and I'll have to check into the other Steemians you've highlighted here. Thanks @creatr - followers seem to come in waves sometimes. I seemed to have a wave of 25-50 in mid September but since HF20 I think it has been slow. That's okay. It will grow when it is meant to grow. I hope you have enjoyed the weekend - and perhaps you found some time to surf? Ah, no, I didn't get out this weekend... Need to soon! I'm sure you and Marly could get half a dozen great metaphors and mash-it up with life on Steem! Your UA account score is currently 4.355 which ranks you at #2295 across all Steem accounts. Your rank has dropped 34 places in the last three days (old rank 2261). In our last Algorithmic Curation Round, consisting of 244 contributions, your post is ranked at #205.